CHICAGO – In the latest HollywoodChicago.com Hookup: Film with our unique social giveaway technology, we have 25 pairs of movie passes up for grabs to the advance screening of the highly anticipated “After Earth” starring Will Smith and Jaden Smith! CHICAGO – Rumors are swirling in Hollywood that Will Smith and Jada Pinkett Smith are separating. The news, first reported by In Touch Weekly, was revealed by an “insider,” but the news has not been verified by Will or Jada or their representatives. CHICAGO – In our latest music edition of HollywoodChicago.com Hookup: DVD, we have three prize packs with DVDs up for grabs in advance of the home entertainment release of “Justin Bieber: Never Say Never”! CHICAGO – If I were 12 years old, I’d probably think “The Karate Kid” was one of the best Blu-Rays of the year. It’s got everything: a crowd-pleasing feature film, several superb extras, and strikingly sharp picture quality, with colors that pop. Yet since I’m twice as old, I’m cursed with the clarity to see through the splendid spectacle and linger on its utter superficiality. 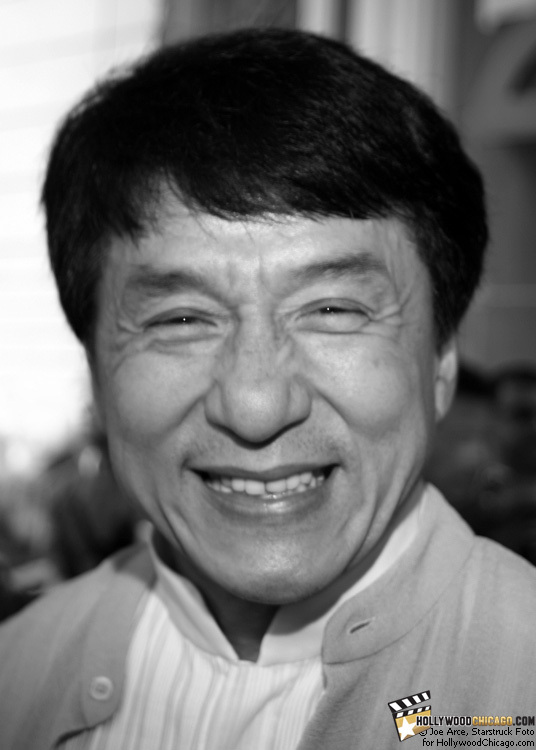 CHICAGO – When you think of Jackie Chan, you think of comedy blended with marital arts. Not any more, thanks to Will Smith and his new film “The Karate Kid,” which stars Jaden Smith.